Introducing a culling programme would really only be a means of restoring confidence in what may be only a small percentage of the general public. The public are understandably unnerved when stories make the news about foxes biting people, especially young children, and local councils refusing to take action. The problem with culling, however, is that it must be done properly and, in order to have a long-term impact, it must be sustained. It is generally accepted that in the region of 70% of a given fox population must be killed before a decline is likely and the cost and manpower of achieving this in urban areas makes control very expensive. Furthermore, we know from studies by Brighton University that fox abundance isn’t linked with fox sightings. In other words, seeing foxes frequently does not necessarily mean there are lots of foxes in the area, which complicates assessing the results. The logistics of culling foxes in urban areas, especially on city streets, makes control very difficult. Culling of rural animals is well-known to depress population numbers, but evidence from urban areas suggests the impact is less evident owing largely to higher population densities. There is an argument for implementing an urban control programme as a means of restoring public faith; but it seems unlikely that the costs associated with such a scheme, coupled with the futility of its goal (i.e. to reduce fox numbers) means it is likely ever to be seen as a viable option for funding, especially when local councils are already seeing budgets reduced. Ultimately, deterrence and the widespread application of common sense, in particular clearing up dropped food and recognising that foxes are wild animals, not pets, are better options for reducing fox disturbance. The urban fox is an animal capable of polarizing opinion like few others and in recent years we have seen a media maelstrom following several reports in the press of people being bitten by foxes that had entered their homes uninvited. In the press we have seen cries for local councils to ‘do something about the explosion in the fox population’, and statements about how urban foxes are bolder and causing more problems than ever before. There can be little doubt that some foxes are bolder than many of us would perhaps like; this is a natural behavioural response to living side-by-side with humans that not only pose little real danger, but in many cases actively encourage close contact by providing food. The fact, however, that an animal is bold, does not automatically mean that it is dangerous. Many years ago, where I used to live in West Sussex, we had a starling (Sturnus vulgaris) that would come into the house, sit on the sideboard and watch us – this was invariably the boldest starling I have ever known, but at no point did it pose any threat. I appreciate, of course, that foxes are wild predators capable of inflicting more damage than a starling, but my point is that just because an animal doesn’t immediately flee from you does not mean it instinctively poses a threat. Despite the very unfortunate—and still very rare—cases in recent years, foxes and humans pass close by one another hundreds of times every week (whether each party knows it or not) and neither is a danger to the other. I have addressed the questions of whether the fox population is currently increasing and whether foxes pose a significant threat to people elsewhere on this site, so I shall not discuss them here. I would like, however, to reiterate the point that, although fox populations might be increasing, there is no evidence of an ‘explosion’ in numbers in recent years. I appreciate, of course, that it is only natural for people who start seeing foxes more often than normal to equate this with there being more foxes around. There are other factors that may account for simply seeing foxes more often, though, including that they are becoming more diurnal (i.e. spending more of the daytime active) or are using this part of their territory more than they used to. Indeed, recent work by Dawn Scott and Phil Baker has shown that there is no significant correlation between the average fox density and the number of sightings. In other words, seeing more foxes around isn't necessarily an indication that there are more (or even a lot of) foxes in your neighbourhood. Nonetheless, whether the increase is real or perceived, stories of fox attacks in the media, and the unfortunate hyperbole (in some cases arguable propaganda) that seems a mandatory accompaniment to many news articles, make people understandably nervous. 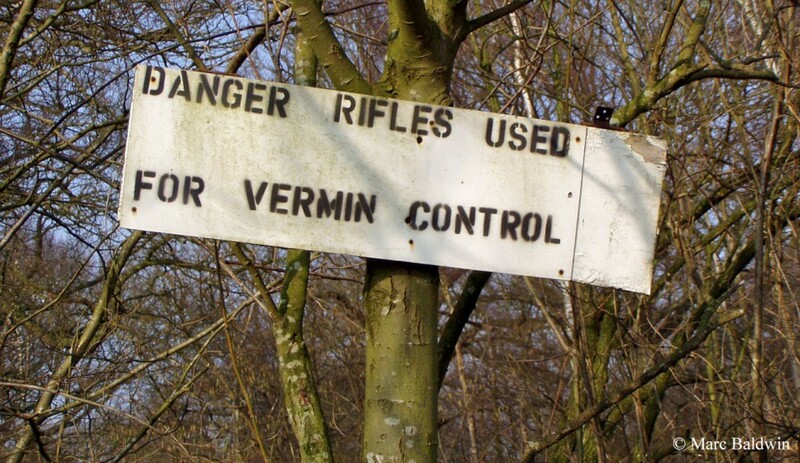 The problem is exacerbated when people contact their local council expecting them to send someone to ‘take care’ of the problem, only to be told that foxes aren’t considered technically considered vermin (this list is compiled by DEFRA) and councils aren’t obliged to take any action. I have read many articles recently in which people have said foxes need to be controlled because their numbers are growing out of control and they have no predators. It is certainly true that there are none of the large Carnivora in the UK (it is arguable whether foxes have ever had any significant predators in Britain), but this doesn’t mean that fox numbers aren’t subject to control. In any wild population there are four processes that determine whether numbers change or stay the same: immigration (the number moving in); emigration (the number moving out); births; and deaths. We call these features population processes and, for brevity, can group them into inputs (immigration and births) and outputs (emigration and deaths). So, logically, if the inputs equal the outputs then the population remains the same size, but if inputs exceed outputs or vice versa the population will increase or decline, respectively. Over all, these population processes are controlled by living conditions and access to resources – in other words, by limiting factors. Put simply, a limiting factor is anything that can influence the survival of an organism or population when present in a certain quantity; limiting factors include such things as food, water, shelter, climate, disease, predation, lethal control and access to mates. If we think about it, food and water are probably the most obvious limiting factors – both are finite and if we don’t get enough of either we die. Thus, a population can continue to grow until there is no longer sufficient food for everyone, at which point the population will stop growing and (probably) decline either through starvation or emigration. Disease can also be a limiting factor and this has been well documented in Bristol’s foxes. Disease is what biologists refer to as a density-dependent factor – its impact increases as numbers rise, because more individuals in an area means more contact and this helps the spread of parasites and viruses (think how quickly a cold virus spreads around the office). In a 2001 paper to British Wildlife, Phil Baker, Tabetha Newman and Stephen Harris described the changes they observed when sarcoptic mange arrived in Bristol. Sarcoptic mange is a skin infection caused by a parasitic mite and is extremely virulent in foxes; without treatment, it typically proves fatal within six months. Between 1990 and 1994 the fox population in the north-west of the city increased almost five-fold, largely in response to a super-abundance of food provided by householders. 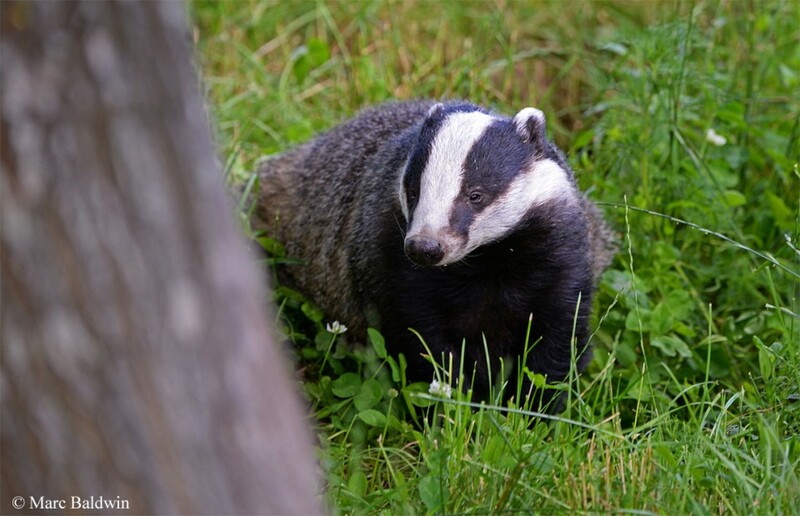 Things changed in May 1994 when a juvenile male, heavily infected with mange, returned to the study area having spent the winter outside the city. The disease spread rapidly through the foxes on the study site and the population crashed – by the spring of 1996, the study population had been wiped out and Baker and his co-workers found the situation to be similar across the city, with an estimated 95% of Bristol’s foxes having died. By 2004, fox density was about 70% that of the 1990, and only 15% that of the 1994 (record density) population. Mange is still prevalent in many British towns and cities (seemingly less so in rural areas) and is considered by many to be limiting the growth of some urban populations. There is one final, perhaps less obvious, limiting factor that affects fox populations: space. 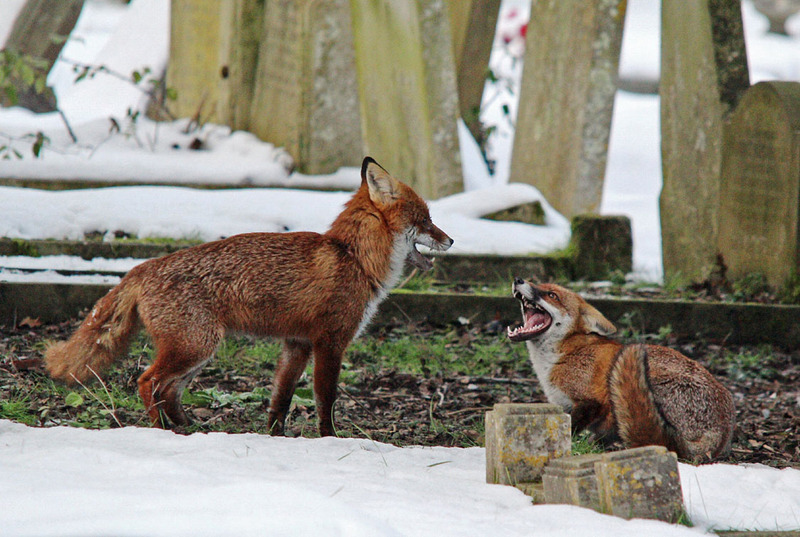 Foxes are highly territorial mammals and although they require smaller territories in urban areas than in more rural settings (meaning densities, or foxes per given area, can be higher in towns and cities), they still maintain territories from which they will exclude others. Consequently, there is only a limited number of fox families that can exist within a given area and, as numbers increase, every available territory becomes occupied making it increasingly difficult for foxes to move in from the surrounding area; finding a territory near their parents is also difficult, making dispersal more likely. A crude analogy would be a hotel; as rooms are booked the amount of space left for others diminishes until the ‘no vacancies’ sign goes up. The territorial nature of foxes is a crucial concept to understand and will become important as we come to look at the effectiveness of control schemes. Each territory will contain a mosaic of different habitats (gardens, parks, industrial estates, cemeteries etc. ), allowing the fox to obtain all necessary resources; one such resource is a little peace and quiet. It may sound bizarre, but in a series of papers looking at the spread of urban foxes in the UK, Bristol University biologists Stephen Harris and Jeremy Rayner found that foxes were more common in areas of medium-density housing, as this provided quiet gardens in which they could rest during the daytime. The biologists concluded that a lack of such resting sites probably explained why foxes were relatively scarce in, and slower to colonize into the heart of, large cities or heavily industrialised areas. Disturbance that affects the suitability of an area for foxes need not always come from humans. Indeed, social factors can play a significant role in setting the upper limit for a fox population. During his experiments on the Red fox population in Sweden during the 1960s, Jan Englund was the first to suggest that different populations may be controlled by different factors - i.e. foxes in some areas might be limited by social factors, while those in another part are controlled by food availability. In a paper to Holarctic Ecology during 1989, Grimso Wildlife Research Station biologist Erik Lindstrom put this theory to the test on fox populations in south-central Sweden. Lindstrom found that this fox population was directly limited by food supply in years when vole numbers were low and were socially regulated when vole numbers were moderate or high. So, when food was scarce, it was this lack of food that controlled fox numbers; but as prey increased in abundance and food was no longer limited, the upper limit of the fox population fell under the control of social factors. This highlights that fox populations do not continue to grow inexorably, even when food is plentiful. Lindstrom's data are not unexpected and it is not uncommon for limiting factors to operate in an almost linear succession; in other words, for one to take over from another as conditions change. If food were the limiting factor, for example, and we increase the rations—let’s say people put out food to help the starving animals—the population can start to increase again now the limitation of food has gone (or more accurately, been raised). The population will increase until something limits it once more; until there is insufficient water, or a lack of suitable shelter/resting sites, or food is limited again, or disease starts spreading, et cetera. This ‘tussle’ for resources is known as competition and when animals of the same species are going after the same resource, we call it intraspecific competition. 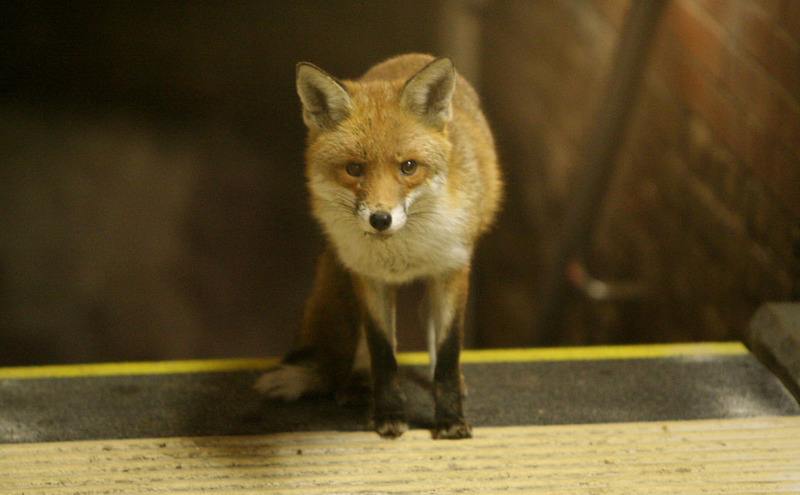 So, are foxes over-abundant in cities? There are no reports of large-scale die-offs among urban foxes resulting from starvation, suggesting that foxes are not ecologically over-abundant. The fact, however that Britain’s urban fox populations are under the biological control of disease and space limitation, and suffer relatively heavy losses on the roads, doesn’t necessarily mean they are controlled to a socially acceptable level, which explains why there are still calls for fox control. The natural limitations on the population appear to permit higher numbers than many people will tolerate and it becomes necessary to try and quantify this ‘over-abundance’ in sociological terms – in other words, we have to answer the question, how many foxes is too many foxes? This is usually subjective and it is always difficult to calibrate nuisance; even if there was only a single fox family living in a town, if they live in your garden, kill your pet or, worse still, bite your child, it may be one family too many. The result is that we are always likely to see calls for additional control, simply because some people will tolerate more disturbance than others. This subjectivity was illustrated nicely in 1979, when Bromley council received a complaint from a resident about a family of foxes living in an over-grown allotment that backed onto his house. The council circulated a questionnaire to all 248 houses surrounding the allotment asking whether the foxes should be removed and, of the 76 people who replied, the clear majority (93%) voted against control, so the foxes were left alone. More recently, in May 2017, an estate agent in London cancelled plans to employ a pest controller to remove a family of foxes in the grounds of a block of flats they manage after a campaign on social media by local residents opposed to the cull. Still, when there is considerable public pressure to implement a cull it can be difficult to resist. Can a cull solve the problem, though? It seems logical, after all, that if you kill some foxes then there simply must be fewer animals around to cause problems? Unfortunately, it’s not quite that straightforward. This is a fairly accurate summary of the situation and most local authorities in Britain refuse to cull foxes for these reasons. Stephen Harris provided an authoritative and comprehensive review of the history of urban fox control in a paper, published in The Humane Control of Land Mammals and Birds (the Proceedings of a Symposium held at Surrey University during September 1984), so I won’t go into detail here. Sufficed to say, the best efforts of the Ministry of Agriculture—which began in the late 1940s and included organised fox shoots in larger parks, allotments and waste ground, and destruction of breeding earths with terriers—were unable to prevent foxes spreading into central London boroughs, or reduce the number of complaints received. In 1970, MAFF relinquished this role. A few borough councils took over but, according to the 2010 review by the Bristol mammologists, by 1980 only 15% of authorities in England and Wales undertook some form of fox control, and there are currently no councils in Britain that offer a fox removal service. 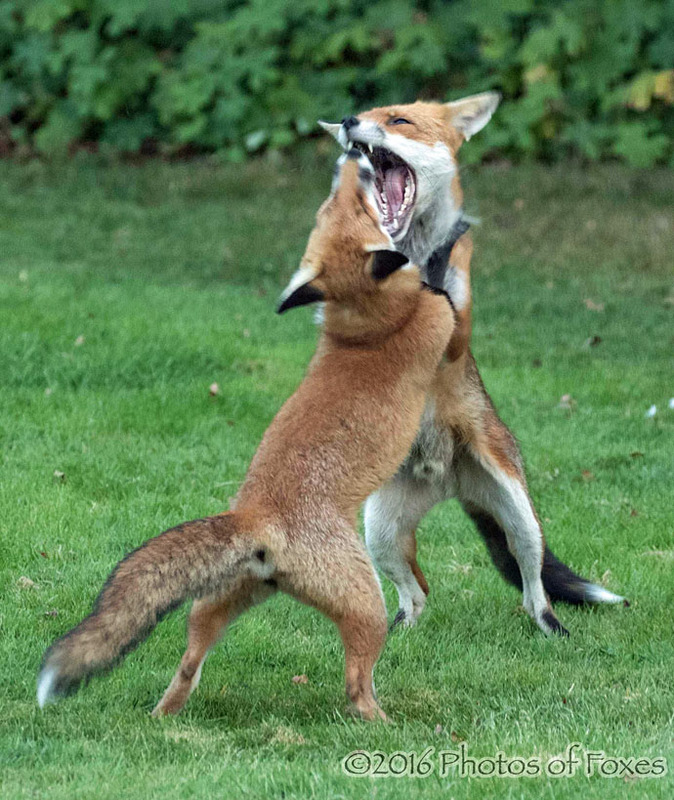 This may, however, be under review – following the attack on the Koupparis twins in London in 2010, the Leader of the Commons, Sir George Young, said the Government would consider whether the law should be changed to force councils to control foxes. Why have these control methods failed? The answer is relatively straightforward, as the Burns Enquiry put it: “fox populations are extremely resilient to culling”. There are two reproductive mechanisms that enable foxes to withstand very high levels of mortality and both revolve around the fact that culling temporarily reduces the number of animals in the population, thereby freeing up resources for those left behind. Firstly, the number of breeding vixens increases as culling intensifies. It has long been considered that dominant vixens suppress breeding of subordinates in the family group, although precisely how this is achieved is less obvious; it probably involves several methods. Dominant females are well-known to kill the cubs of subordinate vixens (a phenomenon known as infanticide) and in 1994 a team of zoologists, based in Bristol and Scotland and fronted by Gill Hartley, suggested that the breeding of subordinate vixens was suppressed through a “social stress” mechanism. We know from studies on Bristol’s foxes that, in some urban populations at least, subordinates do mate and many conceive. Interestingly, unless there is a super-abundance of food or the dominant vixen is killed, these subordinates abort their litters very late term, which is thought to be a kind of ‘keep your cards hidden until the last minute’ strategy. The suggestion from the mathematical model is that where multiple predator removal happens simultaneously, foxes can increase to take advantage of the niches left by the other carnivores. In other words, fewer martens and badgers in the area means more food that the foxes can get at and this allows the fox population to increase, even in the face of culling. Culling can also influence the spatial dynamics of fox populations. The Bristol biologists have estimated that about 15% of foxes are itinerant – i.e. they have no fixed home range and wander from place to place. Additionally, foxes may disperse at any time of the year and dispersal can be linked to both social and resource-based factors. So, as individuals are removed they leave space behind suitable for other foxes; perhaps itinerants or dispersers looking for a territory, or a neighbouring group that expands its territory to include this newly-vacant plot. If it helps, think of this situation as a ‘waiting list’ of dispersing and itinerant foxes looking for somewhere to settle down and raise a family. A study by The Fox Project in conjunction with Andy Wilson (at the time a student of Greenwich University) found that vacant territories in urban areas tended to have a new occupant within two weeks. The same study also suggested that lethal control could increase the number of itinerants in the population, leading to more complaints. Similarly, there has been the suggestion that several foxes may move in to contest a single vacancy, so you end up with more animals than you had before the cull! Studies of Bristol’s foxes during the mange epidemic showed that as families died out neighbouring groups expanded their range to ‘take up the slack’. Conversely, tracking data collected from Oxford city by David Macdonald and Patrick Doncaster during the early 1990s observed that, when a territory became vacant, neighbouring groups might encroach on it but they reduced their existing home range by an equivalent amount, resulting in a constantly drifting ‘honeycomb’ of territories. Overall, immigration from outside the cull area is probably the main factor explaining the temporary nature of fox control, with release from density-dependent factors, such as breeding suppression or food shortage, of secondary importance. So, when we decide to cull a population we are faced with two significant compensatory mechanisms: more foxes being born, and the territories of killed foxes being rapidly taken over by a substantial source population. For culling to compensate for this it needs to be both initially deep, to achieve the reduction, and sustained, to maintain the population. If we consider that the average litter size in urban areas is four cubs per family group, it makes sense that even if you kill four foxes (i.e. 67% - this is where the oft-cited 70% figure comes from) you’re still left with two to start again next year. Moreover, as you start culling, the litter size is likely to increase, say to five cubs, and then you must increase the effort to cull 71%, or 75% if the family has six cubs – and this is to keep the population stable. It is because, as we have seen in Bristol, urban fox populations have the potential to increase quickly when conditions allow that culling effort needs to be sustained if it is to have the desired effect of maintaining lower fox populations. It is, however, possible to implement local, seasonal control to reduce certain types of disturbance. Indeed, Game Conservancy Trust biologists Matthew Heydon and Jonathan Reynolds have shown that, in rural populations at least, this type of culling can have a significant ecological impact, reducing fox predation on game species. By now you’re probably thinking: “but if fox populations are already stable then biological control and cars are already taking out 70%, so surely it shouldn’t take much input from us to tip the balance”. The problem is that when you start to cull you change the dynamics of the population and this affects other sources of mortality. Furthermore, we still don’t really know what’s happening to the fox population; likely there are regions where the population is stable, while it increases or declines in others. Increasing, decreasing and stable populations will each respond differently to culling and this makes it tough to track our progress and, in turn, assess cost-effectiveness. Given that no councils currently operate fox control programmes, there are no recent figures available as to the cost of fox control, but a few years ago I conducted a very brief vox pop of my local pest control companies; their response suggested an average cost of between £100 and £150 (US$ 156 or €120) per fox, which seems in line with the literature. In his 1984 review, for example, Stephen Harris noted how one local authority employed two men for three days per week throughout the year during 1983, resulting in 164 foxes being killed. The costs of salaries, overheads, petrol, ammunition and dog allowances totalled £11,000 (US$ 17,000 or €13,000), or almost £70 per fox. Of course, in terms of Government budgets, £11,000 is barely significant, but it remains to be seen whether such costs for what is likely to be an ineffective and often unpopular service can be justified in times of austerity. 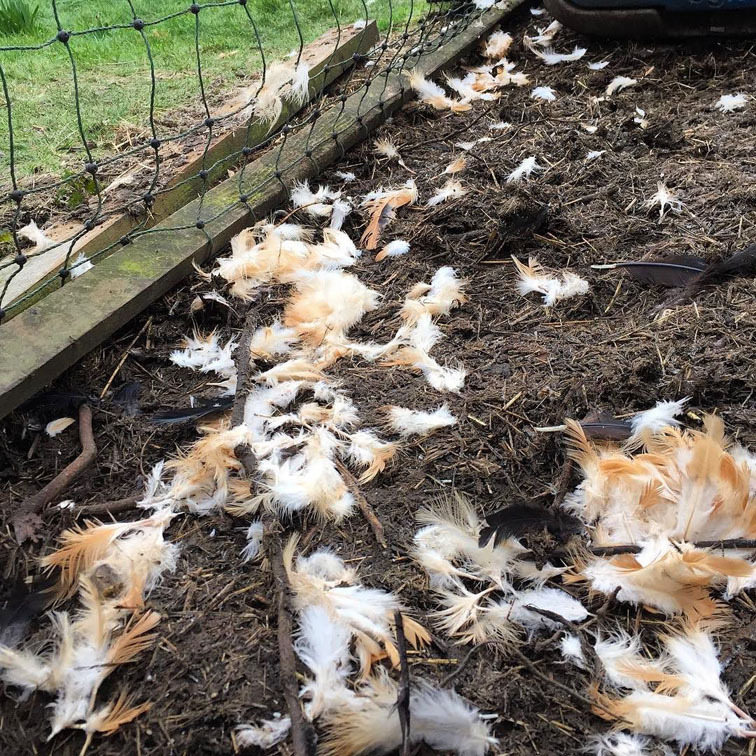 In short, culling can be effective at reducing and suppressing fox numbers, but there are many factors to take into consideration and it is not a simple case of going out and shooting a few foxes to keep the population ‘under control’. The capacity of culling to reduce rural fox populations is well known, but it remains to be seen how well it would work in urban settings and whether the economics would make it a viable option, especially given the widely divisive issue of foxes and their control. Surveys by Bristol University have shown that most of those questioned had a positive opinion of foxes – the most recent of these was a survey of 4,000 households across Britain in 2002 that found, of the 3,409 respondents who had a view on urban foxes, only 8.5% actively disliked the animals. Similar studies in Europe suggest that opinion is typically either positive or ambivalent. Nonetheless, a more recent vox pop, conducted by Opinions Matter (in association with the London Wildcare Trust) in the wake of the fox attacks in London, found one-fifth of the 1,000 people questioned were now afraid of wildlife and one-third no longer put food out in their gardens, even for the birds. It seems the most unpopular garden animal was the magpie (Pica pica), followed by the fox; 20% of the respondents considered that foxes were a menace, vicious and carried disease. Indeed, even in surveys that yield broadly positive views, people often express fears of disease as a reason for controlling foxes and this is not entirely unfounded given they are the principal vector of rabies in Europe and a significant carrier for the disease in North America; but the risks are low in the UK (see QA). Britain is free of rabies and with the exception of mange, which can be transmitted to dogs and humans (although it is easily treated in the former and lasts only a few days in the latter), there are very few reported cases of diseased foxes from this country. About half of Britain’s foxes are believed to carry the Toxocara canis roundworm that can be dangerous to pregnant women, but there are no data to suggest foxes are a significant source of infection for dogs or people and the disease is rare in humans. Similarly, the hyatid tapeworm Echinococcus granulosus isn’t widespread (and may be declining) in Britain’s foxes, while the related cyclophyllid tapeworm E. multilocularis is absent from Britain. Culling has various logistical problems too. The most effective method of control is shooting but, as you might imagine, there are various laws and bylaws that strictly control the use of fire-arms in urban areas. 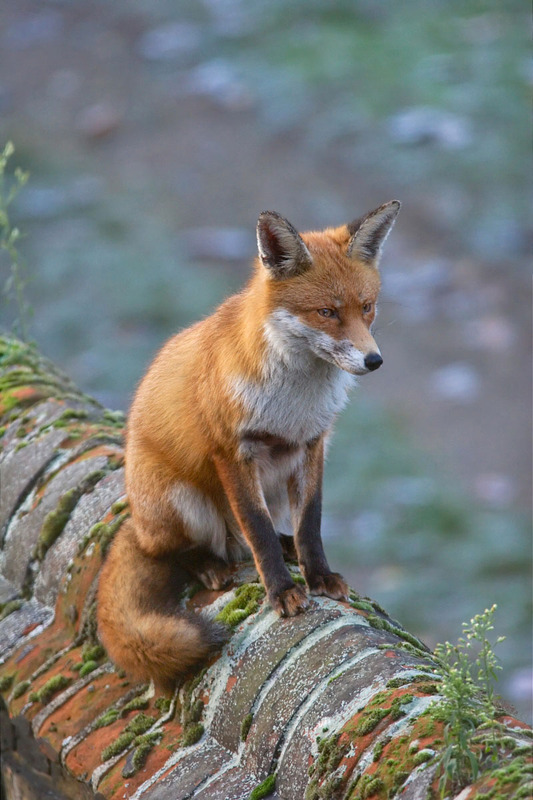 It is also often difficult to establish ownership for areas of derelict land that foxes favour and to obtain permission to enter gardens if the owner is ‘pro-fox’ – trespass with a weapon is an offence under the Criminal Law Act of 1977. Shooting must be carried out by experienced and licensed personnel, with an appropriate calibre weapon (not an air rifle), and will typically require the use of a long-dog to collect any foxes wounded but not killed outright – the notion of a wounded fox “slinking away to die of gangrene” seems, incidentally, to be unfounded and foxes appear to heal remarkably quickly. Consequently, shooting is often limited to specific gardens and larger areas of public open ground (parks, cemeteries etc.). In urban areas, as MAFF found, there is the potential to shoot cats by mistake (they’re about the same size, move in the same way and are active at night) and this is an offence under the Criminal Damage Act of 1971, because cats are considered property of their owners. 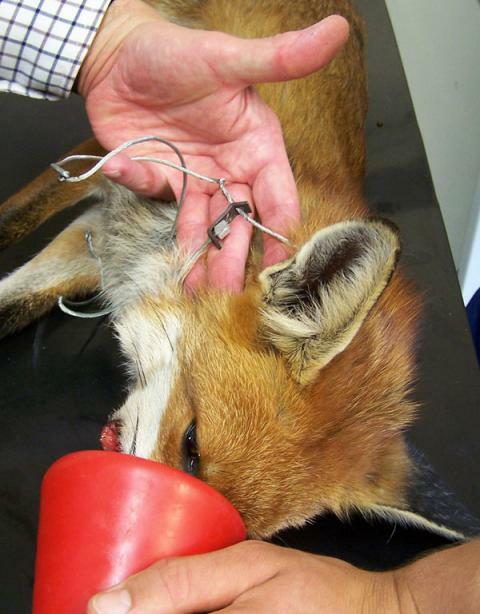 Snaring is often employed in rural locations, but is largely impractical in urban areas. Under the Wildlife and Countryside Act of 1981, there is currently only one form of snare that is legal in Britain and snares are highly unselective, even when set with care. In his 1984 paper, Harris references an RSPCA survey that found 86 foxes, 80 cats, 30 badgers and 15 dogs (to name a few of the species) in the snares they surveyed. By law, foxes can no longer be gassed or poisoned. Trapping foxes for dispatch is very time consuming and may require substantial public cooperation, although it is a method widely used by pest control companies. Provided the animal is subsequently shot by a competent marksman, however, it is considered a humane method of removing ‘problematic’ animals. It is, nonetheless, generally ineffective for widespread and intensive culling. Foxes may occasionally be trapped for relocation, but the territoriality discussed earlier makes it unlikely released animals fare well and such activity might thus be illegal under the Abandonment of Animals Act of 1960. Data from a recent study comparing the movements and survival of rehabilitated vs. wild-caught and released foxes suggest that survival between the two groups is about the same, but foxes held in captivity for prolonged periods lose their territory and when they’re released they must find a new one. In addition, there is the potential to move diseases (i.e. 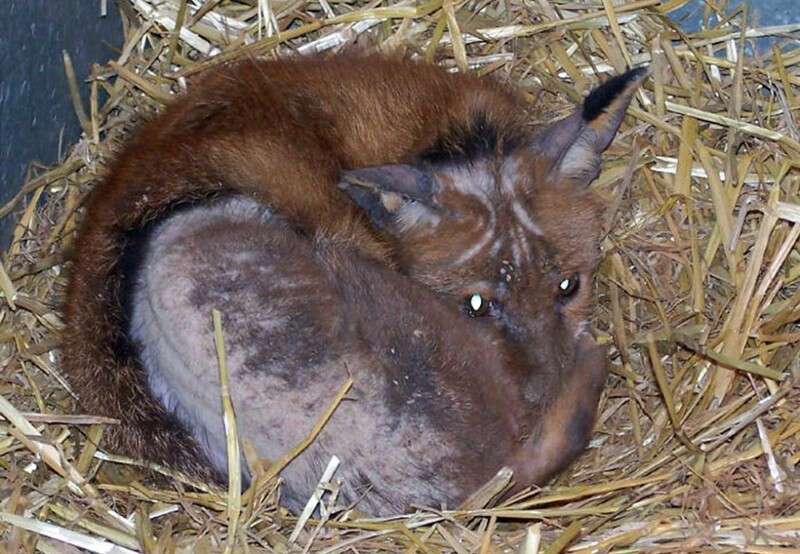 sarcoptic mange) into previously healthy populations if foxes are translocated. Finally, work has been done in Australia, where foxes were introduced during the 1870s and have since become a significant predator of the country’s native wildlife, on the possibility of sterilizing foxes to reduce their populations. The premise is simple: sterilized foxes defend the same territories as fertile ones, thereby preventing immigration, but cannot breed and thus a vital source for the population is cut-off. Indeed, fertility control, especially a method known as immunocontraception, has shown promise as an alternative to lethal control and is often advocated on welfare grounds. Unfortunately, various technical issues, including the number of animals that would need sterilizing in order for the scheme to work and that individuals would need multiple treatments, have seen Australia abandoning research on immunocontraception in foxes. 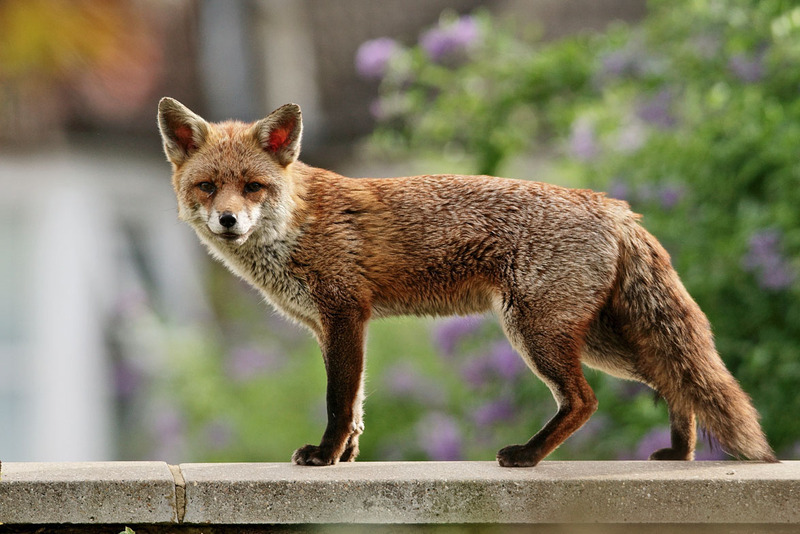 We have established that urban fox control is expensive, time consuming and rarely very effective, but that is not to say arguments cannot be made for re-starting fox control programmes. The main reason, as I see it, is a restoration of public faith. We have seen increased public concern over the numbers and behaviour of urban foxes and the perceived lack of support from local councils. Any laws protecting the rights of animals (and Britain has several) are only going to be as successful as the public support they gather, and laws that appear to protect the threat and offer only expensive ways out (£150 to remove a fox) tend to generate disrespect. This situation could potentially lead to people taking the law into their own hands and using illegal methods (poisons, inefficient weapons, broken glass and so forth) to kill or deter foxes – although apparently debunked as a hoax, we saw the rather disturbing fox-killing ‘squad’ in London back in June 2010. So, with a lynch mob clamouring in the streets, it could be considered a smart move for the local council to dispatch a pest controller to shoot a fox (maybe several) in the affected garden or area. Most people can appreciate that you’re unlikely to know for sure whether you’ve got the offending animal, but the point is that such action reinforces the public notion that any threat from foxes comes from isolated, identifiable individuals, meaning there's no need to wage war on foxes in general. Arguably, if the public finances support it, implementing a culling programme might, in general, serve to alleviate public concern, regardless of whether it is genuinely effective at reducing numbers – not dissimilar to the way people feel safer seeing more police officers on the street, regardless of whether there is any actual impact on crime rates. In addition to boosting public confidence, one could also argue that culling can be good for the fox population. It may seem counterintuitive but, if managed correctly, sustained culling may promote genetic variability in populations. In a fascinating paper to Zeitschrift fur Saugetierkunde during 2000, biologists at the University of Siena in Italy reported that, based on enzyme and mitochondrial DNA samples from six hunted and three protected populations, foxes in the hunted populations had significantly higher genetic variability than those from the protected populations. The theory goes that a lack of mortality from either predators or lethal control in the protected population results in the same individuals successfully defending the same areas for prolonged periods of time, thereby monopolizing matings. In the hunted populations, the rapid turnover of animals means new blood (new genes) constantly flows in. This is beneficial because, generally-speaking, the higher the genetic variability, the more viable a population is/ (Think of the gene pool like a toolbox, the more tools you have, the better kitted out you are for whatever life throws at you.) It should be noted that these data were collected from rural locations, where mortality is typically lower than urban areas and the social structures can be different, but the data do suggest culling can act as something of a ‘pseudo-surrogate’ for predation in the sense that it helps improve genetic variability. 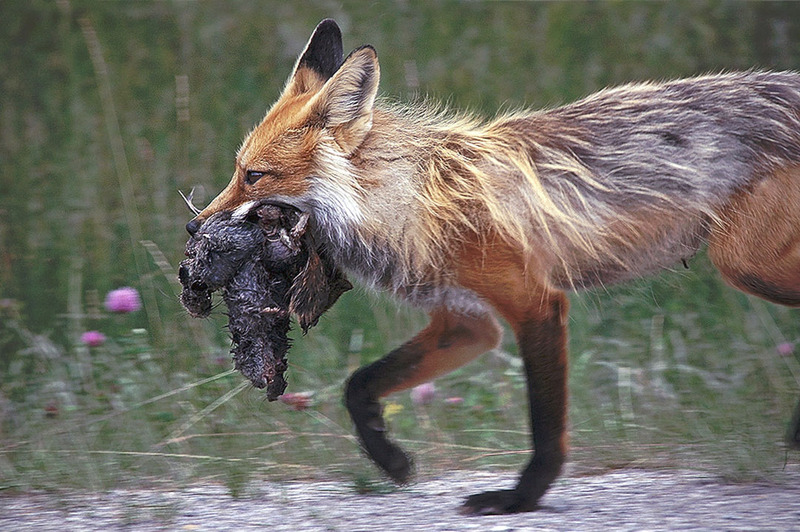 Foxes are predators and therefore catch, kill and eat other animals to survive. Like most carnivores there are facets to fox behaviour that sometimes puts them at odds with their human neighbours. Foxes don’t respect, indeed have any concept of, human possession of property or pets. Sometimes they get over-stimulated when surrounded by prey that doesn’t or cannot run away and this can cause their predatory instincts to go into overdrive; kill all the hens in the coop, for example. Such behaviour earns them a bad reputation as “blood-thirsty vermin”, but the truth is that humans expect too much, without taking the time to try and their behaviour (see QA). While I dislike the idea that an animal should have to be considered useful by humans in order to permit its existence, are there any benefits to having foxes in your neighbourhood? There are some interesting dualities to arguments about the benefits of foxes in towns and cities. Take, for example, the case of foxes and rodents. On the one hand, I have heard councils advocate foxes for the pest control service they provide by helping control mice and rats. On the other, I have come across people who think foxes only encourage rats and mice by breaking open bin bags. So, which is true? Foxes certainly eat mice and rats (and other ‘pest’ species, such as rabbits, pigeons and gulls) but it is unclear whether they’re able to actually control the population. Off-hand, it seems unlikely that foxes could single-handedly control urban mice and rat populations, but they certainly appear to help. In rural areas, it has been shown that foxes can suppress rabbit populations, although they cannot cause a decline. In other words, foxes can keep the population low if something else (humans, for example) reduce it initially. 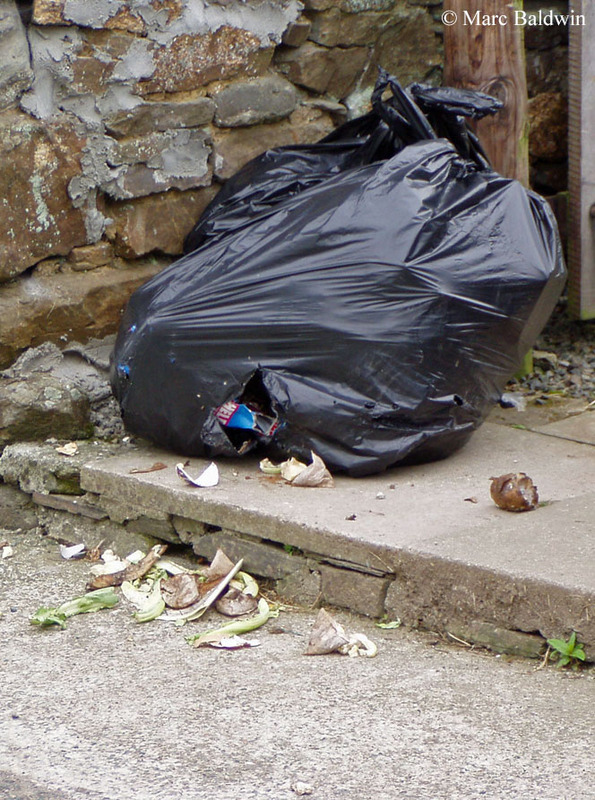 In terms of encouraging rodents, rats and mice are perfectly capable to opening bin bags and raiding dustbins on their own and it seems unlikely that foxes encourage them in this way. Furthermore, foxes raid bins less frequently than many people suspect and a study in Oxford by WildCRU biologists found most culprits of this behaviour were dogs and cats. Indeed, arguably foxes eat food discarded by people that might otherwise be available to rats, mice, pigeons, gulls, etc. This is something that has been trialled in hospitals by placing recovering patients in rooms facing gardens and playing bird song. More recently, the NHS in Cornwall has been taking people suffering from mental health problems (i.e. depression and anger management issues) to Watergate Bay in Newquay and proving them with surfing lessons in a bid to improve their outlook and temperament. So, how do we deal with those individuals that cause problems? The answer is deterrence. Make your garden less appealing to foxes so they stop visiting. This has the added benefit that the territory holders remain in the area, they just change their habitat use to avoid your property, thereby preventing the problems associated with vacant territories we have already discussed. Obviously, one could argue that this is simply moving the problem elsewhere but, as we’ve seen, not everyone finds fox disturbance problematic. I have already discussed the pros and cons of different methods of fox deterrence at length elsewhere on this site, so I will go no further here. In summary, it seems fair to conclude that lethal control can only really be justified from a public confidence perspective as it is seldom economically viable and largely inefficient. Before any lethal control is introduced, information on the current state of the population to be culled is required so possible impacts can be estimated and progress can be assessed. Foxes are wild animals whose behaviour is subject to change – a drop in complaints could be a response to other factors (changes in territory use, changes in food distribution etc.) and be unrelated to culling effort. Ultimately, we need to look at deterrence with the possibility of intervention to deal with recurrently problematic individuals. It seems reasonable that councils should offer householders advice on fox deterrence, which would show a level of commitment to resolving the problem that appears to be lacking at present.